Note: The titles given to the monarchs of the Crown of Aragón (a confederation of monarchies of which Aragón and Catalonia –also known as the House of Barcelona– were the founding states) can be confusing. Non-Catalan historians tend to use the Aragonese chronology in numbering the kings, thus the heir to Ramón Berenguer IV and Petronilla (whose betrothal in 1137 united Aragón and Catalonia), is Alfonso II of Aragón, whereas to Catalans he is Alfons I of the House of Barcelona! By the beginning of the 14th century, Catalonia exercised significant power in the Mediterranean, with its sphere of influence especially extensive in the western end. Mallorca, Ibiza, Menorca, Sicily and Sardinia, formed part of what has been loosely called the Catalan “empire” although strictly speaking they belonged to the Crown of Aragón. Widespread overseas commercial and trading activity headed by merchants from Barcelona was the source of Catalan wealth. It also gave Catalonia a cosmopolitan air, more so than landlocked Aragon. Furthermore, trade led to the establishment of Catalan consulates and ensured that the Catalan language was heard in numerous areas of the Mediterranean, including North African cities. Another source of Catalonia’s influence was its ability –following reconquest practice within the Iberian Peninsula– to exact tributes from many North African Muslim cities (e. g. Tunis) in return for protection or payment for troops or ships. Pere III/ Pedro IV, the Ceremonious. The 14th century is dominated by the reign of Pere III (Pedro IV of Aragón r 1336-87). Known as “the Ceremonious,” he was an ambitious, obstinate ruler with questionable moral scruples and a pronounced streak of cruelty (there is a celebrated story of him ordering some Valencian rebels killed in 1348 by pouring molten lead down their throats). Short in stature, he believed himself to be divinely appointed, wore magnificent robes and insisted on elaborate court ceremonials. His long reign was punctuated by many conflicts. Early on –1337 to 1342– Catalan ships were engaged in the Strait of Gibraltar helping Castile fight against the invading Merinids from Morocco. 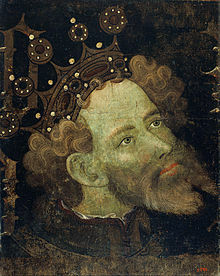 In 1343, Pedro invaded Mallorca, whose king James III (Pedro’s cousin) had taken an independent course; in 1347-48, nobles rebelled in Aragón and Valencia at the same time that there were uprisings in Sardinia. Genoa –Barcelona’s maritime rival– was a constant source of irritation and naval battles with the Italian city state were frequent. Finally, Aragón-Catalonia got caught in the fratricidal war (1358-1369) in Castile between Pere III’s Castilian namesake, Pedro the Cruel and his half brother Enrique of Trastámara. Truces came and went as a number of nations became embroiled: Navarre, England, France, the Papacy, Portugal, and Genoa, not to mention mercenaries and adventurers. Where did Pere III stand in all of this? The Castilian civil war between Pedro and Enrique began in 1358, but Catalonia and Castile had already started sparring over land in Murcia in the 1340s. In the 1350s the conflict spread to Valencia and to the sea, with Castilian galleys attacking the Balearics. When it became clear that Pedro I of Castile had a serious challenger in his half brother Enrique, Pere III had little trouble in supporting the latter since he was promised vast tracts of land in Murcia and along the frontier with Castile. However, when the dust had settled and a triumphant Enrique sat astride the Castilian throne, all the promises came to nothing, and Pere III could not do anything about it. The constant wars had taken their toll, and Aragón-Catalonia, with perhaps 1/6th the population of Castile, was financially crippled, and Pedro had already used up all possible financial sources. For an exhausted Aragón-Catalonia, it was effectively the end to any dreams of further territorial gains at the expense of Castile. On top of the political turmoil and financial pressures, Pere III also had to contend with social unrest, ranging from the revolt of the discontented nobles in Aragón and Valencia to the constant challenges of the Corts (guardian of the laws of Catalonia which Pere had sworn to observe). Then there were the ravages of the Black Death especially between 1347 and 1351, which probably slashed the population of Catalonia by 20-40%. This and subsequent lesser outbreaks, compounded by several bouts of famine bred chaos, resulted in economic depression, and brought the social fabric to the point of collapse. Like other parts of Europe, Catalonia survived but it was scarred by increased social conflicts as nobles and peasants fought over lands abandoned during the Plague. The aristocrats grabbed whatever they could or brought in other peasants to farm disputed land. The result was a series of uprisings that broke out in the 1370s and simmered for over a hundred years. Pere’s long reign was spectacular in many ways, but his many political tangles left Aragón debilitated and in serious financial crisis. And matters were not to improve. His heir Joan I (r 1387-96) had little interest in politics, pursuing instead his love for spectacle: horse riding, hunting, dancing, fashion, food and music: Joan I could eat as much, when journeying, as 4 partridges at a sitting. His court ordered for him cheeses and African dates from Majorca, trout from the Pyrenees, sturgeon for fast days, Greek wine, Calabrian red, good claret, and Beaune. He drank his wine spiced after dinner. His sugar was specially prepared by a convent in Barcelona. He ordered fine green and Indian ginger from merchants returning from Alexandria. Joan was not only a gourmet but a dandy … Damascus silk, scarlet cloth from Brussels and ermine from Paris… Joan welcomed French, Castilian, and Sicilian musicians at his court…Hillgarth vol. II, 52 ). Joan also wrote poetry, and dabbled in astronomy and alchemy. Temperamentally unsuited to rule, Joan left the running of his kingdom in the hands of a clique that only sought to benefit itself, selling off almost all the royal patrimony (inherited estates) that remained. Joan died suddenly in May 1396 while hunting, leaving no male heir. Joan was succeeded by his brother, Martí I the “Humanist” (r 1396-1410), totally unlike him temperamentally, being deeply religious and devoted to solitary contemplation, sacred relics and monastic ritual. This did not prevent him actively pursuing political ends, the main being the reconquest of Sicily, which he left in the hands of his son, Martí the Younger. Given the precarious economic situation of the Crown of Aragón, Martí I spent much of his time trying to recover the royal patrimony, something he managed to do quite well by convincing the affected towns that they would be better off under his jurisdiction than under the nobles. Still, it was not an easy reign, and worse was to come –certainly from the point of view of Catalan historians– when Martí died I without legitimate heir in 1410 (his son, Martí the Younger had died in 1409). Why? Simply put, it represents for Catalan historians the beginning of the decline and “denationalisation” of Catalonia and its “Castilianisation”. There were several claimants to the Crown of Aragón, including Martí the Younger’s illegitimate son, Frederic, and others who were descended from branches of the royal House of Barcelona. Nevertheless, the successful claimant turned out to be the Castilian, Fernando of Antequera. This marked the end of the House of Barcelona which had guided Catalonia’s destiny from the time of Guifré el Pilós (Wilfred the Hairy) in the 9th century), and that of the Crown of Aragón since 1137 (see first paragraph above). The Crown of Aragón still existed, but with Fernando de Antequera it was in the hands of a new dynasty: that of the Trastámaras of Castile! Fernandez-Armesto, Felipe Barcelona: A Thousand Years of the City’s Past Oxford 1992. Hillgarth, J.N The Spanish Kingdoms 1250-1516 Oxford 1976 2 vols. Hughes, Robert Barcelona New York 1992. Mestre I Godes, Jesus Breu historia de Catalunya Barcelona 1998.